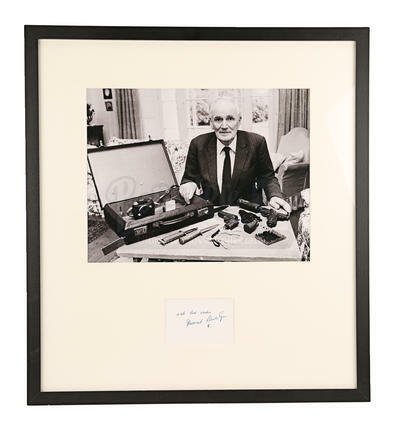 A framed photo and autograph of Desmond Llewelyn, best known for playing the character Q in 17 Bond films between 1963 and 1999. 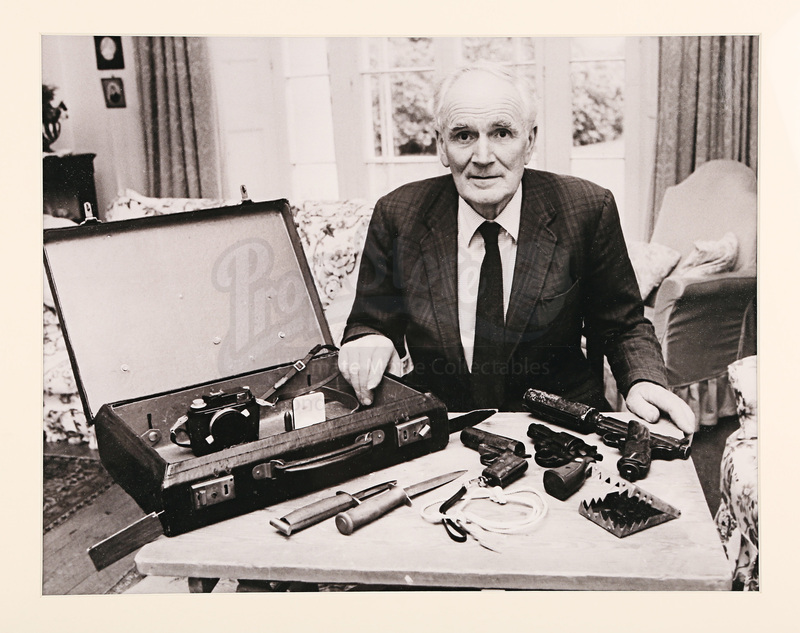 This display features a black and white photo of Llewelyn with a special-effects version of a briefcase and several gadgets seen displayed on a table, which he took with him when attending many Bond-themed events and exhibitions. 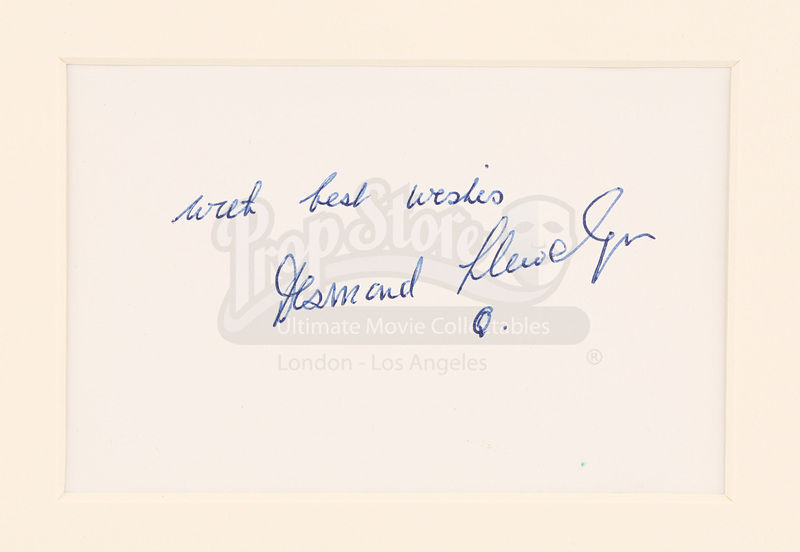 Situated underneath the image is a handwritten message which reads “with best wishes, Desmond Llewelyn, Q”. The autograph and photo are set under glass in a black wooden frame. It features some minor wear from storage, including some scratching and scuffing on the frame, but despite that it remains in an otherwise excellent condition.